Artemis is a huntress who commands a pack of Cyberhounds. She is trained in the use of a long bow. 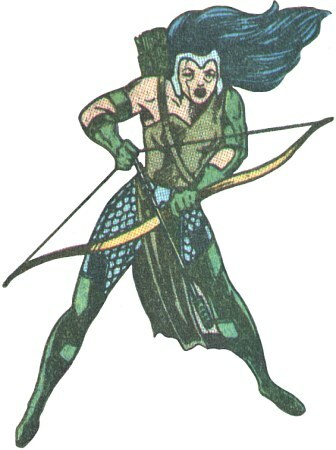 Bow and Arrows: Artemis has a long bow with which she is an expert at using. She has standard arrows and has used other more specialised arrows. Cyberhounds: Artemis commands a pack of vicious cybernetically enhanced dogs. Artemis was born and trained on the dark planet Apokolips. She became a member of the Female Furies, the elite force of Darkseid’s special powers force. Artemis is a huntress, who commands a pack of augmented cyberhounds.